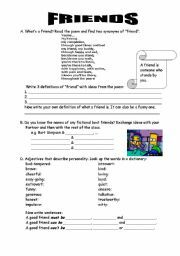 With this worksheet I have tried to put both the second and third conditional in a real context. The vocabulary or the topic may not be suitable for younger students, I´m using it with 17-year-olds. Students watch a video from youtube about the history of Halloween. 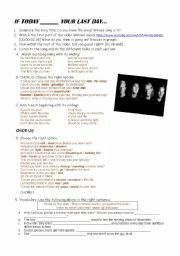 First they answer some comprehension questions and after reading the script, they work on the vocabulary from the text. The activity can be used as a warming-up to talk about Halloween. This worksheet first introduce the character of Mr. Bean. 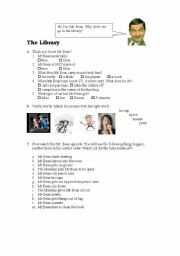 Then there is an activity for the episode in the library (9 minutes). Students can watch the episode twice. 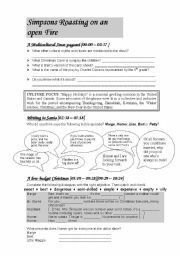 This is a 60-minute worksheet for the last class before Christmas. The episode is from season one "Simpsons roasting on an open fire". 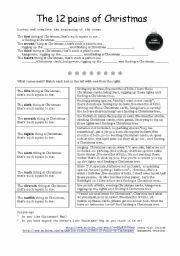 It includes a final activity to introduce the Buy Nothing Christmas idea. 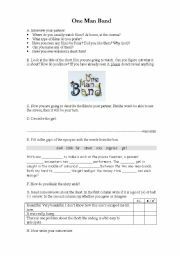 This is a one-page worksheet for a 50-minute lesson. 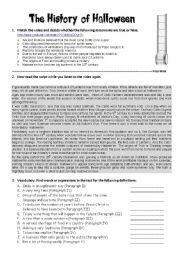 Previous to the worksheet students will need to revise the vocabulary of musical instruments so as to be able to better describe the scene to their partner. As homework, students have to write a short review about the film. 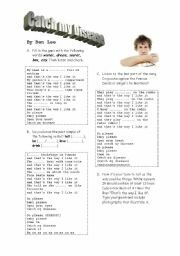 With this worksheet students will learn the name of the Olympic Sports in English thanks to the pictograms for the Beijing Olympic games. This is a Christmas song different from the carols our students are used to listen to. I provide the youtube link and an animated version. With this powerpoint I tried to explain my students the difference between both tenses. I used some clipart from the microsoft webpage and I hope this is allowed. A famous song from the 80´s. Hope you like it. This is a nice ad with a nice song.